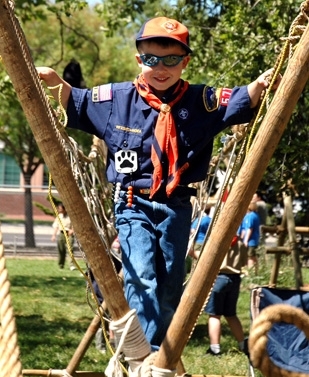 Scout O Rama is the annual “trade show of Scouting” featuring 130+ booths and activities . Drawing more than 5,000 participants and open to the public, the event gives everyone an opportunity to be a Scout for a day. From launching a water rocket, to shooting a bb gun, watching an outdoor cooking demonstration, a felony car stop, climbing a monkey bridge or playing giant chess, it’s a day filled with adventure for the whole family. Scout-O-Rama is held the 2nd Saturday every May at History Park in Kelly Park in San Jose, CA.